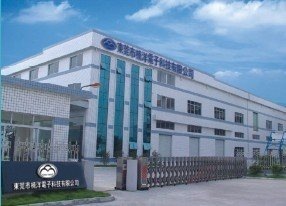 Established in 1996, Dongguan Nanyang Electronics Technology Co., Ltd. is located in Chang'an Town, Dongguan City, covering an area of 3,000 square meters. Our company has around 150 staff members. Nanyang Electronics Technology has abundant technical force and experienced technicians with strict production flows and operating systems. Our quality management system conforms to CE and ISO9001:2008 certifications. Nanyang Electronics Technology Co., Ltd. is specialized in die cutting adhesive tape, PORON/EVA/PE foam gaskets, rubber pads as well as insulation materials which are widely used in communication products, digital cameras, printers, audio products, appliances, lighting, toys, stationery, sports goods and some other industries. Die cutting products have the functions of sticking, conductive, shielding, fire-resistant, back-lighting, heat resistant, quake-buffering, dust-proof, slip-resistant, sound-resistant, etc. In order to keep advantage in the same industry, we have imported advanced equipment, such as Japanese CNC machines, hydraulic presses, pasting machines and slicing machines, and expanded our production scale. We have persisted in the business tenet of "technology to seek development, quality to seek efficiency", and we have adhered to the scientific and technological development. We are looking forward to forming successful business relationships with new clients around the world in the near future so as to create a glorious future.